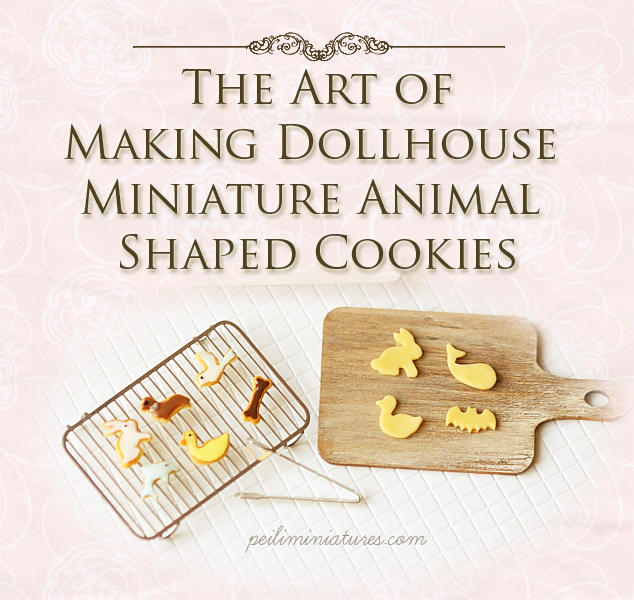 This online clay food tutorial is especially written and created for customers who have previously bought/are interested in the miniature clay push mold for dollhouse miniature animal shaped cookies. This online PDF tutorial will be most suitable for beginners who wish to learn to use air dry clay to create 1/12 dollhouse miniature scale animal shaped cookies. Follow my step by step tutorial with colored photo descriptions and instructions to achieve realistic looking dollhouse miniature animal shaped cookies using painting techniques! Important : Please note that this is NOT a sculpting tutorial. Please note that the contents in this tutorial are copyrighted. No part of this tutorial may be reproduced, shared in full or partially, blogged or transmitted in any form by any means graphic, electronic, or mechanical without the author’s permission. By purchasing this online tutorial, you are agreeing to abide by these terms.